There is a common saying among students, "Cherry blossoms indicate midterm exams." Hand-in-hand with the beautiful cherry trees in full bloom comes the midterm examination period each Spring semester. Many Sookmyungians during this period are too busy to sleep. If you live close to school, you are one of the lucky ones. Many students spend much time commuting to school. “What a waste of time!” Because of this waste of precious studying time, a number of students are pulling all-nighters at school. 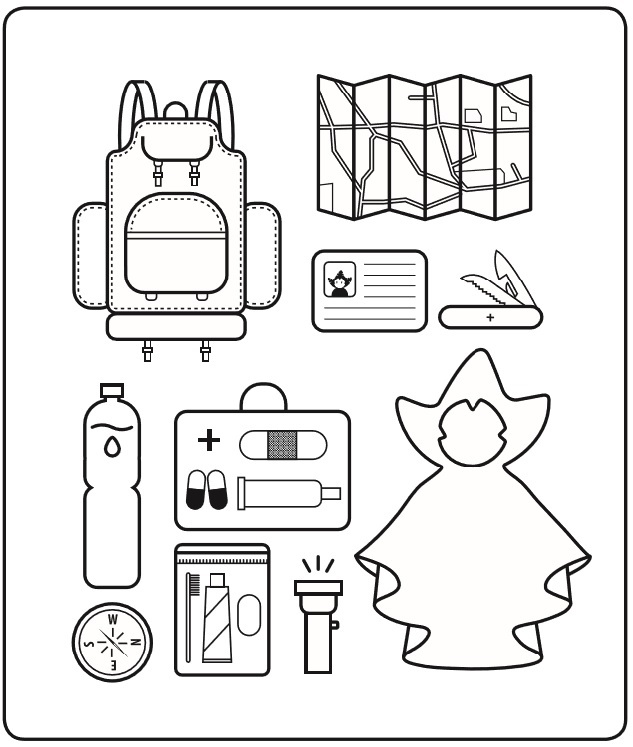 SMT reporters have prepared useful tips for surviving at Sookmyung. Kim is a typical Sookmyungian, nervously awaiting her upcoming midexam. The commute from her home requires 2 hours by bus. She doesn’t feel prepared for the exam due to her busy school timetable and scheduling. Noonsong decides to spend the night at school to save time. Lectures are complete for the day, but Sookmyungians are still bustling about campus. There are lots of assignments and much needed preparation for the exam; however, unfortunately, Noonsong forgot to get her laptop. What can she do in this case? There are several computer rooms on campus. The first is the PC Lab Center located on the first floor of Myungshin Building. The second is at the Library DICA Plaza located on the second floor of the Main Library. However, when using a laptop from there, students need to consider the limited open time and usage area. For rentals from the Library DICA Plaza, students should have a reservation for the seat and extend it regularly in library. If this is inconvenient and a laptop is needed to complete assignments and do test preparation, the ‘Laptop Rental Room’ in Myungshin Building 103 may be a better option. Students may borrow laptops for free for up to 5 hours a day. However, keep in mind, that a student’s borrowing hours are limited to 100 hours a semester. For case of Noonsong who need a laptop in the whole night, long-term borrowing of equipment requires payment. The fee is reasonably at within 10,000 won. Besides borrowing of laptops, students can also borrow program installation CDs such as Microsoft Office, Adobe Photoshop, and Adobe Illustrator. 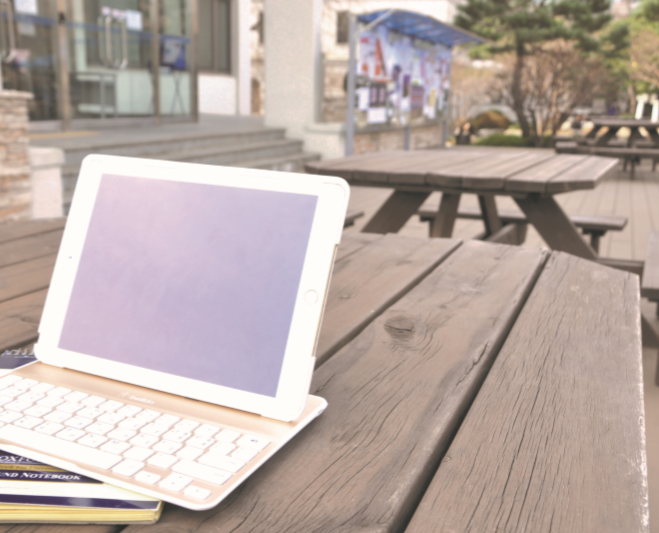 One thing to keep in mind is that if you are a first time laptop borrower, you need to certify your student card to the Administration Building room 221 and register for the service at a fee of 3,000 won. Successfully borrowing a laptop does not mean Noonsong is in the clear. Another problem appears. All the extra seats made available in the library for students during examination periods are taken. What should Noonsong do? Fortunately, there are several good study locations on. 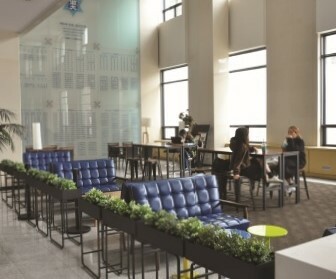 On Campus I, students can take advantage of the Myungshin Lounge located on the second floor of Myungshin Building. There are plenty of outlets, which ease electronic device charging, and there is also a printing place in the Lounge. Another good place is the lobby area at the front of the Law Library located on the first floor of Veritas Building. Because of the multitude of desks and sofas, it is an excellent place to both study and rest. The Multipurpose Hall on the second floor of the Administration Building is considered by many students a great place for group projects because of the number of available tables. For a slightly secretive study location, there is the desk at the front of the Student Union Building in room 208. As for Campus II, the lobby on the first floor of Centennial Hall is almost as quiet as the library, but beware, the comfortable desks and sofas may cause you to fall asleep. On the basement levels of Renaissance Plaza and the College of Pharmacy are secret study spots. While at Renaissance Plaza, students may take a short break from studying and visit the museum and art gallery located right next to the study table area during the daytime. For those who enjoy studying outdoors where it is a bit cooler, there are outdoor patio tables in front of the Student Union Building’s post office. After pulling an all-nighter, the sun has finally arrived. Noonsong who studied hard all night starts to feel uncomfortable and want to take a shower. Or what if an appointment suddenly appears but you are in a state of mess and untidy? Whenever students find themselves in this situation, they can drop by the ‘Shower Stall’ located on the fourth floor of the Student Union Building. To gain access to a shower booth, fill in a user information application and provide your student ID card in Student Union Building room 305. Staff will entitle you to one shower room key for. After that, students would leave their personal belongings in a provided locker in shower stall. The time granted for a shower is 30 minutes, enough time to tidy oneself up. One thing to note is that not all shower items are in stock. Basic items such hair dryers, hair brushes, and tissue paper are there, but you may need to bring toiletries such as shampoo, conditioner, and a towel yourself. After showering, if Noonsong feel chilly due to the temperature difference or the night of hard study, it seems that she needs to visit the school nurse’s room for medicine and rest. 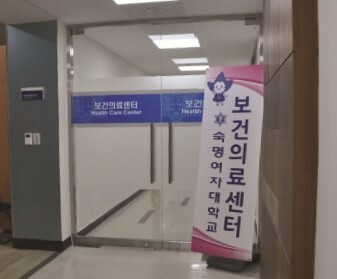 At Sookmyung Women’s University, students have access to both the Health Care Center and Recuperate Room, in Queen Sunheon Building room B009. A health care provider will diagnose your ailment and prescribe appropriate medication. Preventive vaccinations and medical checks are frequently carried out in the Health Care Center, so it may be beneficial to visit there on a daily basis. Application to use the Recuperation Room can be made in Queen Sunheon Building room B009, too. After receiving a permission slip from the health care provider, students can go directly to the Recuperation Room next door. Students may stay in the room for up to an hour to recuperate whenever they feel ill. While this is great, be aware that one’s belongings can go missing, so be responsible for your items. After resting from a hard night of challenging study, Noonsong may feel hungry. She needs a meal. Students craving a light western meal could visit ‘Brunch & Café’ located on the first basement level of Queen Sunheon Building. The place serves a variety of tasty light meals such as freshly baked bread, panini, and pasta. It also serves coffee with Starbucks coffee beans. The most used student cafeteria at Sookmyung Women's University is ‘Misochan’. It offers students a variety of Korean meals as well as a number of Korean fastfoods. Each day, there is the special of the day, which is a typical Korean meal for the inexpensive price of 3,300 won. Students who are studying in the library will find ‘Library Hyu’ the best choice for a quick bite. For those interested in taking more time over coffee, the place to visit is ‘Blueberry Cafeteria’ located at the front gate of the Campus I. There is also the ‘Queen Sunheon Building Café’ on the fourth floor of Queen Sunheon Building where students can get a great view of campus I from the windows. Blueberry Cafeteria is a two-story eatery. On the second floor is a huge area that is filled with seats in the sunshine. Congratulations! By following all the above tips, Noonsong finally accomplish your all-nighter successfully on campus. Kim having completed her first all-nighter realizes there's no place like home. Nevertheless, pulling an allnighter is an experience that one will surely remember later in life. April showers bring May flowers. SMT reporters sincerely wish all readers achieve success on their midterm exams.